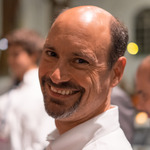 At the recent GOTO conferences in Copenhagen and Aarhus, I had the opportunity to have an extended set of conversations with Martin Fowler about an idea he has been turning over recently in his head — “sacrificial architectures”. Every technology architecture is of necessity temporary, and we should both get comfortable with, and take . . .
One consistent theme I have seen in 25 years in software has been the regular reinvention of some common technological building blocks. Time and again, well-meaning developers and organizations spend hard-earned effort building things they really should buy / borrow / steal, paying the opportunity cost of not building more of their product or . . .